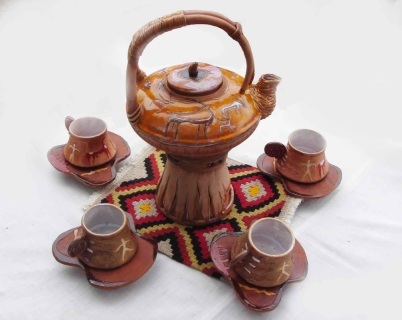 The kit including one teapot and 4 cups.Ceramic teapot kit and 4 cups with plates. You also can order only teapot below. 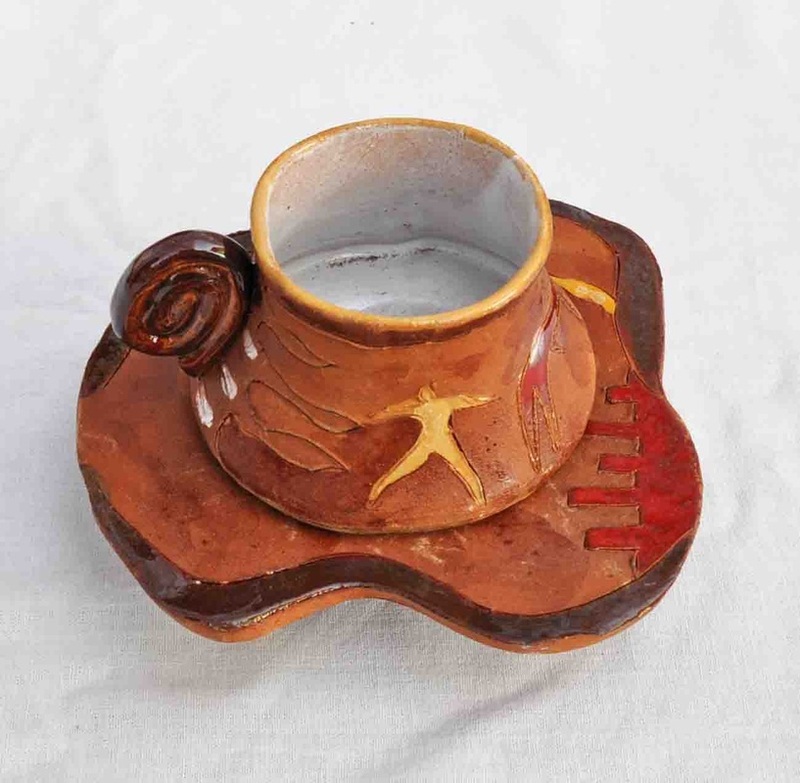 Handmade ceramic cup with rock art. 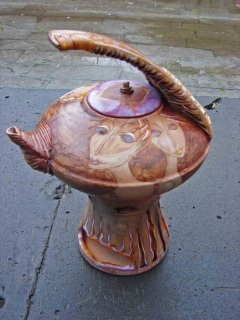 Ceramic teapot with stand.Only handmade ceramic. 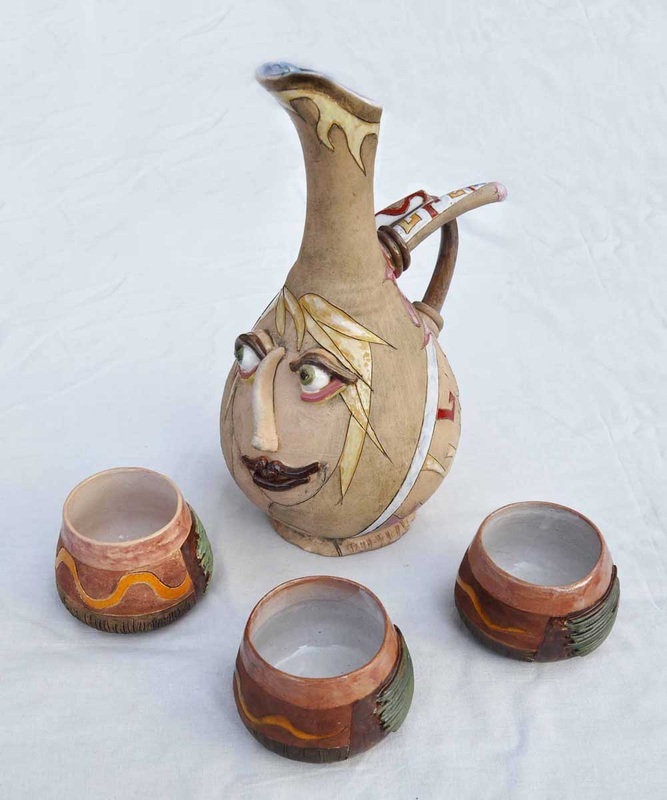 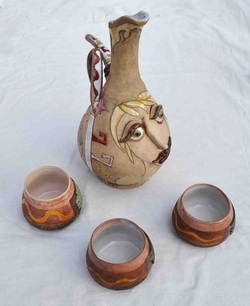 Set of jug designed with women face and cups for jug.